Arthritis isn't just one disease, but rather a catchall term for over 100 diseases that cause inflammation or pain in your joints. Arthritis is very common — over 50 million people in the United States have some form of it — and it’s the leading cause of disability. 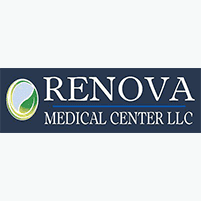 Renova Medical Center has extensive experience in helping his patients in Columbia, Missouri, successfully overcome the often serious impacts arthritis can have on everyday life. To get started on long-lasting relief, call or book an appointment online. Degenerative arthritis, or osteoarthritis, is the most common of all forms of arthritis. This disease is caused when your cartilage, which acts as a buffer between your bones, begins to wear down, causing your bones to rub together painfully. The most common form of inflammatory arthritis is rheumatoid arthritis, which is brought on when your immune system mistakenly attacks your own body, causing painful swelling in your joints. This type of arthritis is created by an infection or virus that gets into your joints and creates inflammation. This type of arthritis is one of the more painful forms of the disease, and it’s caused by a buildup of uric acid in your system, which leads to the formation of crystals around your joints. Since arthritis mostly affects your joints, pain is often the chief complaint. This pain may come and go, or be constant, and ranges, depending on the severity of your disease. Inflammation is your body’s way of protecting itself while it heals. Through chiropractic adjustments, Renova Medical Center frees up your body’s natural resources to heal and regenerate your joints more quickly, reducing the inflammation. As with most problems, arthritis can be treated from within by improving your diet to better equip your body to handle the disease. Renova Medical Center has extensive nutritional knowledge and helps you tackle arthritis from the inside out. Arthritis doesn’t just affect your joints, but also the surrounding tissue. Through exercises designed to target this tissue, you can build up strength and mobility and take the pressure off your joints. To learn more about how to reduce the widespread effects of arthritis, call Renova Medical Center or schedule an appointment online using the booking tool.